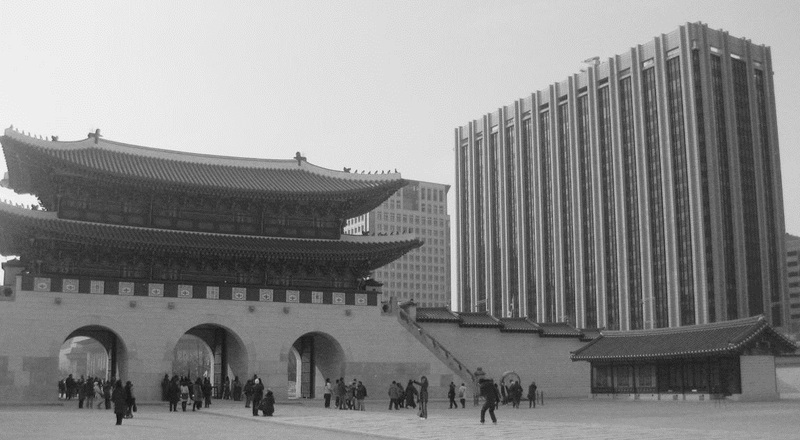 Hemos recibido el Call for papers para la próxima Conferencia Internacional de Docomomo, a realizarse en Seúl, Corea, entre el 24 y el 27 de septiembre de 2014. A continuación el texto (en inglés) de la convocatoria. The Modern Movement challenged a millennium of classical values through a collective global revolution in technological, social, political and aesthetic spatial values. The magnitude and complexity of this confrontation between epochs multiplied when Modernity’s western values expanded into the Asian sphere. The diasporas of Modernity and the resultant local interpretations of the movement are well documented and known. Even the moniker “International Style” presumed a singularity on a global scale, only to be tweaked and usurped by regional modern architects who would integrate modern values with regional sensibilities. But it is important to remember these exchanges and re- calibrations took place on the shared stage of a singular western culture. The 2014 International Conference re-measures this expansion of the Modern ethos within a wholly different context of Asia. Instigated by a geo-political expansionist policy, these colonial expansions produced violent confrontations and challenged the very cultural and heritage foundation of Asia. As a result, the relevancy of the Modern Movement—not as a style but as a way of thinking, a harbinger of contemporary values—was tested and fortified. Predictably, Modernity in Asia grew and matured through this process of conflict and expansion and intrinsically took on very distinct identities in different regions. To comprehend the variety of Asian Modernism, it is vital to map a comparative analysis of each country’s Modern roots and major achievements. The theme of Expansion and Conflict fundamentally interrogates the values and relevancy of the Modern Movement through the extreme cultural lens of Asia. By this interrogation, we hope to secure its aspirational role in any culture and society. We would declare that conflict is not necessarily a pejorative but maybe a challenge for the future. It signifies a vigorous recognition of each culture’s robust and intrinsic values—the existing culture and modernism’s raison d’être. As Modern Movement is asked to earn a space of its own by clashing with the existing intrinsic order, it does so by forming a new value system. Through this process, it grows to become a regional phenomenon and eventually gains the momentum necessary to develop and expand on its own. The 2014 Call for Paper is ultimately, about the resilience of Modern Movement. The difference of philosophies between the east and the west bears fruit to an evolving discussion regarding theories of space, tectonics and meaning. The linearity of approaching the modern movement must evolve to a lateral system that permits multiple relationships with cultural issues in conflict with the existing pattern. The practical integration of this expansive architectural education should be discussed as a pedagogical structure for Asia and worldwide. Urban planning and landscape have experienced a turbulent yet dynamic evolution in modern Asia and elsewhere. While Europe can reclaim the palimpsest of an existing city pattern, Asia, Africa and South America are literally defined by either colonial foreign entities or the new mode of western urbanism. What emerged from this binary system of colonial and western urbanism is an unconventional relationship between program, infrastructure and landscape which produced dynamic new urban typologies. The rapidly changing city is the stage for repeated collisions between social and economic desires and historically-valued ideologies. It is within this context of conflict that the heritage of the modern movement must now expand. However, changing social and economic demands lead to frequent instances when the value of preserving and re-using modern building is not recognised. Conservation and re-use policy, legal action, public education, and awareness programs to sustain the exchange of opinion are therefore necessary. The selection of buildings materials is traditionally depending on technology. However cultural implications and meaning are associated with the use of local and global, natural or industrial materials. Therefore, it is critical to understand expansion and conflict in terms of building construction. It is also critical to face modern technology from the contemporary point of view of rehabilitation and sustainability. Is Modern Movement a western concept? Can one be Modern and non western? The definition of Asian Modern Movement begins with locating and defining the core values and ethos of modernity. These values aspire to be universal beyond local culture and geography. Therefore, one would contend if modernity has stopped being western-centric, and has become a universal set of values that can be appropriated by any region. Simultaneously, these values are mobilized and activated through specific vehicles of local history, culture and resources. Asian modernity would represent the most extreme and challenging of these cultural vehicles.